When you look into an alpaca’s big dark eyes, you get caught by the big, calm animal’s charisma. These gentle, proud animals, with their peaceful way of communicating, give you a very special nature experience. A nice walk at a slow pace, but you certainly won’t be bored. 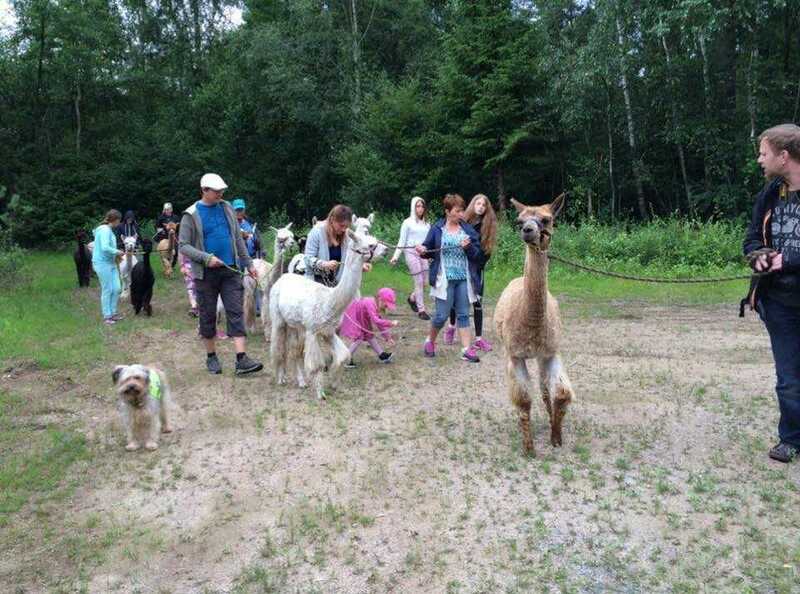 Hiking with an alpaca is not an activity for those in a hurry or wanting to walk a lot of kilometers . In this case, the old adage “The road is the goal” applies, not walking as quickly as possible from “A” to “B”. Because of the alpaca’s quiet sound, even the most cautious child does not feel threatened, but, rather, wants to be close to the alpaca. Children who usually do not like to walk seem to forget about the time when they walk with an alpaca. 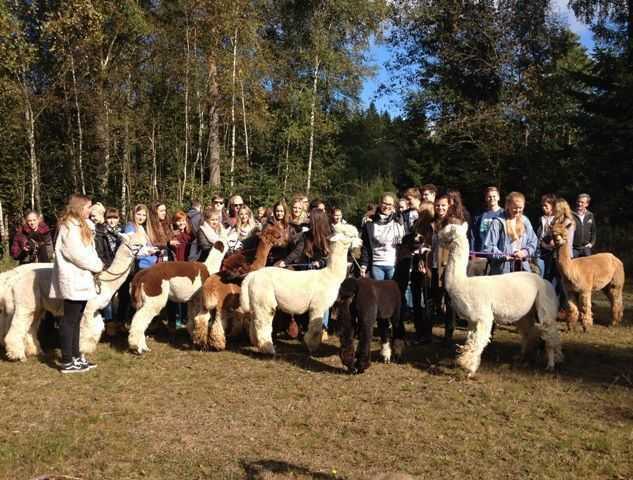 Because alpacas are very attentive and sensitive animals it is impossible to “trick” them. They are adept at reading their leaders with the guidance of invisible signals and respond accordingly. Acting with firm resolution against the alpaca is a completely wrong method. Instead, a natural, relaxed and calm treatment is rewarded. This makes the alpaca show kindness and trust in confidence. Flee from the hectic pace and stress of every day life with the help of an alpaca and let yourself be enchanted by its tranquility. We start from Alpacka & Älgar Ekofarm i Hultet and walk on beautiful, winding forest roads/trails with at least one alpaca per two adults. We hike with our animals year round as even snow is not a problem.